Spiel des YAYres or Spiel des YAWNes? I might be tipping my hand a bit too soon by caricaturing the opposing viewpoint, but I think this is hogwash. While, as with any award, I will grant that certain games that have won the award have not been my favorites, to say that the award is irrelevant is absurd. And now I’ll tell you why. First is the argument from mass. 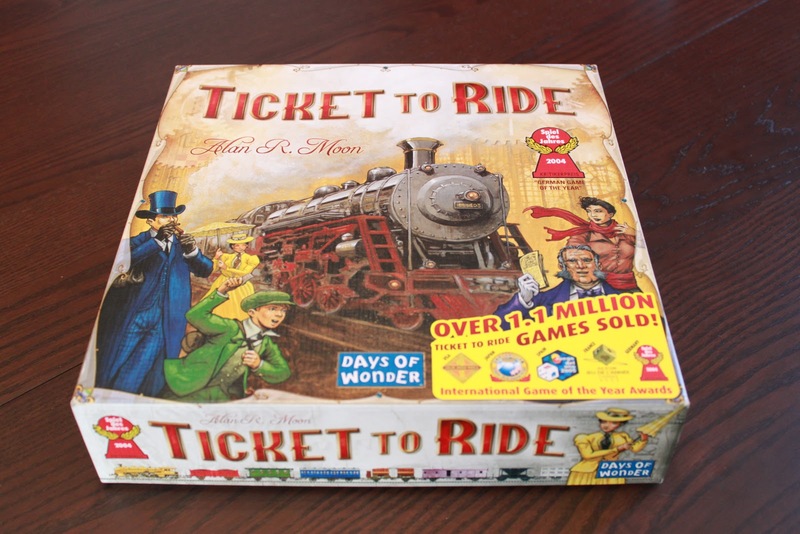 The Spiel des Jahres generates lots of sales (although figures are hard to track down), which means someone is buying these games, and likely they are not the same ones buying novelty copies of Monopoly to be shelved or regifted, at least if number of rankings on Board Game Geek is any indication. People are playing them. Yes, I know: just because a lot of people do something doesn’t mean a lot of people are right. But if it’s true that publishers must send a game back to reprint in large batches after winning the award (and I believe it is), then the award is far from irrelevant because large numbers are impacted by the game (either by playing it or passing it on). The Spiel des Jahres is for board games what Oprah’s Book Club (love it or hate it) is for books: an instant guarantee of bestsellerdom. The second argument is a corrolary to this. I work in book publishing, and one of the first things I was told at my job is “We publish what we have to in order to publish what we want to.” Now, as a book publisher, we publish a lot more titles each year than the average game publisher, mainly because the market for books, despite what doom-and-gloom National Endowment for the Arts reports tell us, is much larger than that for hobby board games. But I imagine the principle is the same: having a bestseller on your hands allows you more capital to invest in riskier, often lower-return products. Not every author is James Patterson or Dan Brown (thank goodness), but that also means that not every author earns like them either. Most writers cannot afford to make writing books their sole vocation; Patterson and Brown are the outliers, not the standard. The hobby games industry in general is in many cases a low-profit labor of love through and through, so I don’t expect this is a perfect comparison. But the point is that even if the Spiel des Jahres award is irrelevant to you in that you don’t like what receives it or play the kind of games honored in the first place, it is not irrelevant because it infuses the hobby with more cash to develop and produce other games, maybe even the games you like, which might not see players’ tables otherwise. The third reason, and most compelling to me, is more personal. My family is a family who plays games. They may not be capital-G Gamers in the sense that they host regular game nights or spend their time trawling (or is that trolling?) Board Game Geek, but they like games. We played games growing up (mostly traditional card games, Risk, and Stratego), and games still occupy the central activity time when we get together for visits and holidays. My family is competitive, and they take their game-playing seriously (too seriously, perhaps, in some cases). The Spiel des Jahres award is for them. 7 wonders, Ticket to Ride, Dominion, Hanabi, Dixit–these games are among their favorites, and all of them have won main prizes from the Spiel des Jahres jury. Acquire, Bohnanza, Coloretto, and Airlines Europe* were all recognized by the Spiel des Jahres jury and join the others as family favorites. At our gatherings someone may be playing El Grande or Power Grid or Settlers of Catan or Lost Cities: The Board Game,** among others. In fact, it’s easier to point out the games in frequent rotation that haven’t received Spiel des Jahres recognition than those that have. But you know who brought those games to my family? I did. And I didn’t bring them because they’re gateway games or family games or simple games that “non-gamers” can enjoy: I brought them because I like them. In fact, a quick perusal of my top ten games on Board Game Geek reveals six out of ten games honored by the Spiel des Jahres jury in some fashion. If you look at my top three games–El Grande, Dominion, and Acquire–we’re three for three. These aren’t just games I play with my family, as if they’re only suitable for an infrequent and ignorant audience–they’re games I readily play with everyone. In fact, I’ve mentioned many times before that my board game collection is quite fluid. I like having a game variety, and so I’ll often trade games that either I or those I regularly play with don’t love. The games that have changed hands the least in my collection, if we’re looking for a common thread, are in many cases those that have won the Spiel des Jahres award. In a word, they have longevity. Legs. They’re the kind of games that you don’t have to relearn if you haven’t played in a while; they’re simple to grasp but offer complex interactions between players. They remain compelling for many, many sessions. And I love them for this. One of the cardinal sins of board game playing is taking players out of the experience–something that revisiting the rulebook at the table undoubtedly does. I count it a game’s strength if I can understand the rules in one go through the rulebook and teach them to the others playing. The less time spent explaining rules, the more time we can spend actually playing and enjoying each other’s company over a competitive challege. That’s not to say I don’t enjoy meatier games. I’ve been playing Robinson Crusoe as a solo game, and it’s a blast. I play Innovation, Glory to Rome, and Ginkgopolis over my lunch hours, each of which is a mind-bending experience, probably a bridge too far for the Spiel des Jahres jury. I’m always trying to foist economic games on people, and Troyes remains in my collection for the possible future day when I’ll have someone to play it with me. I know that not every award will appeal to every player, but to say the awards are no longer relevant, full stop, is elitism, pure and simple. They may no longer be relevant to your tastes, but the awards are too large to be marginal altogether. (We’re not talking about the Origins Awards, after all.) In fact, the Spiel des Jahres is often not just a thermometer, judging what’s popular. It is a thermostat, often raising an unexpected game to a much larger audience. What about you? Do you agree with me? Or am I overstating the case? (It’s certainly a possibility.) I’d love to hear your viewpoint in the comments. * Airlines Europe was not specifically recognized, but it is a reworking of Union Pacific, which received a nod in 1999. ** Lost Cities: The Board Game is the North American release, more or less, of SdJ winner Keltis.